CCTV cameras are everywhere, it seems you can't get away with anything these days. But not all things CCTV cameras pick up are bad. Some of them are very, very funny. 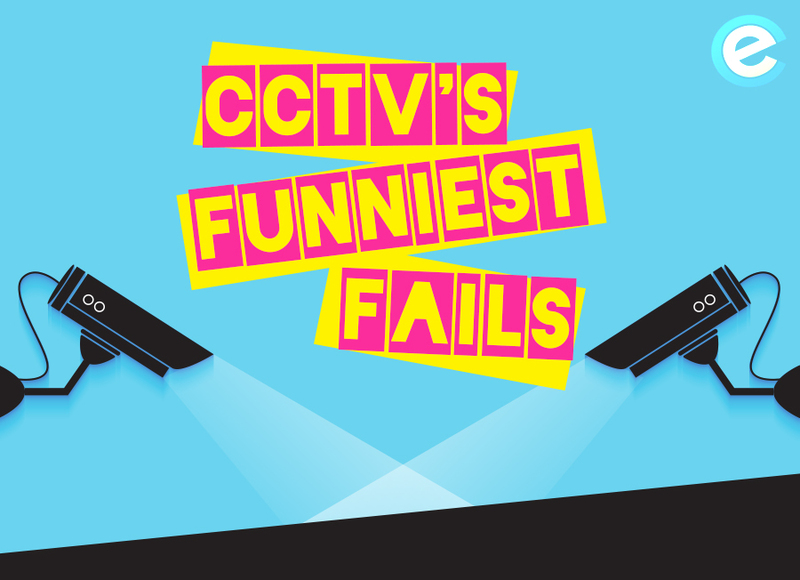 To prove it, here are 8 of the funniest things we've ever seen on CCTV. If you've been yelled at, at work today, think about this guy. Just one lapse of concentration and this forklift truck driver destroyed £100,000 of vodka. It's not clear if he had been sampling the produce before this little mishap, but he may have needed a drink afterwards. Fortunately no one was seriously injured in this accident, except a little damaged pride maybe. We've all done it, but this FedEx delivery guy takes it to another level. Lesson to self, don't try and chase a van that's rolling down the street, it's only gonna end badly. Still at least the dogs looked like they enjoyed it. Sometimes you just think some people should do something else for a living. This guy is a good example, probably the worst bike thief you will ever witness. Not only does he not realise he is being watched by CCTV, he doesn't think to open the gate far enough first. Still, give him credit, he keeps trying even after the owner has turned up with a spade. If you're going to wear a balaclava, it's a good idea to cut holes for eyes before you enter the building. Otherwise you'll end up like this guy, fumbling around in the dark and falling over the stuff you're supposed to be stealing. If you don't want to be caught on CCTV you could always try disabling the CCTV camera, although it's a good idea to make sure it's not working first. Otherwise you will literally be caught in the act. A shop owner checks his CCTV footage to see which lunatic smashed his glass door in a case of wanton vandalism. He was shocked to find the culprit wasn't the local hoodies, but a feline chasing dog. They do say cats are smarter than dogs, I guess this proves it. If you have a pool in your back garden, it's free for anyone in the neighbourhood to use, right? Well that's the way this particular bear sees things and who are you to argue with him? Sometimes you gotta think it might just be easier to find another place to park, right? But you have to admire their persistence, even after crashing into another car they still came back for more. But if that fails, just turn the car around and try it from a different angle. Joking aside, CCTV & surveillance cameras are a great way to protect your property from theft and damage. Despite what some of these clips show, most burglars will think twice before attempting to gain entry to a property that is protected by CCTV systems. For more information about the commercial and domestic CCTV options open to you, give the friendly Cricklewood Electronics team a call on 020 84520161.